Although motor vehicle accidents cause debilitating injuries and lost lives among vehicle occupants of all ages, the toll exacted on children is especially high. Car accidents are the leading cause of death of children ages 5 to 14 in the United States according to the National Highway Transportation Safety Administration (NHTSA). The CDC reports that during a recent one year period vehicle collisions accounted for 638 child fatalities and 127,250 injuries. Tragically, many of these deaths and life-shaping injuries are avoidable with proper use of an age and size appropriate child safety restraint system. The agency also reports that a one-year study revealed over 618,000 children up to age 12 were transported in a motor vehicle without a child safety restraint system. Further, nearly forty percent of children who die in car accidents are not buckled up based on a study of fatal collisions. Despite the vital safety benefits associated with child safety restraint systems, this safety feature can leave children woefully unprotected when the car seat malfunctions, lacks compatibility with vehicle seating, or provides insufficient warnings and instructions to parents. Sacramento Defective Car Seat Lawyer Edward A. Smith has pursued compensation for victims of poorly designed and/or manufactured car seats and booster seats for decades. Ed Smith has been a fierce advocate for motor vehicle accident victims including child passengers, bicyclists, and pedestrians in California since 1982. Our law firm provides an exemplary customer service approach to the practice of law, which is based on many members of our team working together for over twenty years. If you have questions about the reputation our law firm has with our peers and prior clients, we invite you to check out our client reviews on AVVO, Yelp, Google, and our law firm website. All rear seats are fully occupied by other children age 12 and under. The only rear seats face the rear of the vehicle, or they are side-facing jump seats. 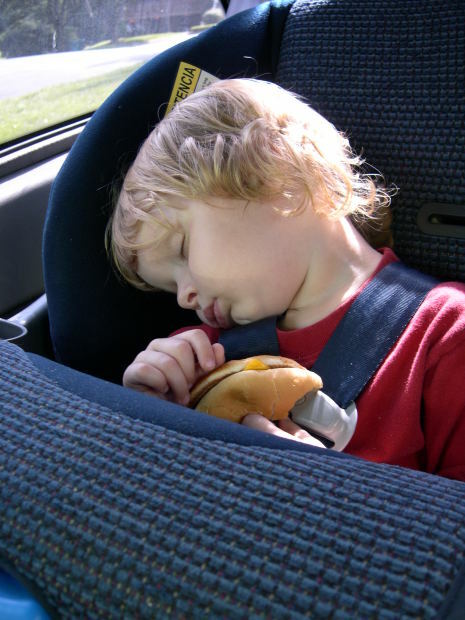 A medical condition makes it necessary for the child to ride in the front seat. The child safety restraint system cannot be installed safely in the rear seat. The child’s weight is twenty pounds or less. The child is not yet a year old. The child is secured in a rear-facing car seat. Chest Clip: A child can be ejected from the vehicle when the chest clip is located too low on the body. Booster Seats: After children transition into booster seats, these devices provide no upper body support, so children can be ejected. Faulty Adjusters: The adjusters on a child safety seat are designed to keep the straps adjusted properly. When they do not function as intended, the straps can pose a risk of injury. Shoulder Harness Slots: Manufacturers often fail to adequately label these slots, so the car seat is secured improperly. Angle of Recline: Child safety seats should position children horizontally in both front and rear facing child safety seats. Fracturing of Plastic Shells: If the protective plastic shell is inadequately manufactured or constructed from substandard materials, the safety equipment will not provide the expected benefits. Frames that are weak because of cheap materials can be susceptible to cracking or breaking under the force exerted by a collision. Three-Point Harness: This style of child safety seat does not provide pelvic support, so children are exposed to the risk of vehicle ejection. Use of Flammable Materials: When manufacturers cut corners by using low quality materials, children can be exposed to the risk of burn injuries. Faulty Buckles/Latches: When the latch/buckle that secures the straps of a car seat have excessive give or are too difficult to disengage, children can face the risk of being stuck during a rescue, suffering ejection from the vehicle, or experiencing a serious injury when the buckle becomes detached. I’m Ed Smith, a Sacramento Personal Injury Lawyer. If you or a family member have been injured in an accident, please call me today at 916.921.6400 for free, friendly advice and to meet my friendly staff. I am a current member of the Million Dollar Advocates Forum. Trial lawyers here have won multiple cases worth more than a million dollars. Take a moment to review a long history of my successful case Verdicts and Settlements.